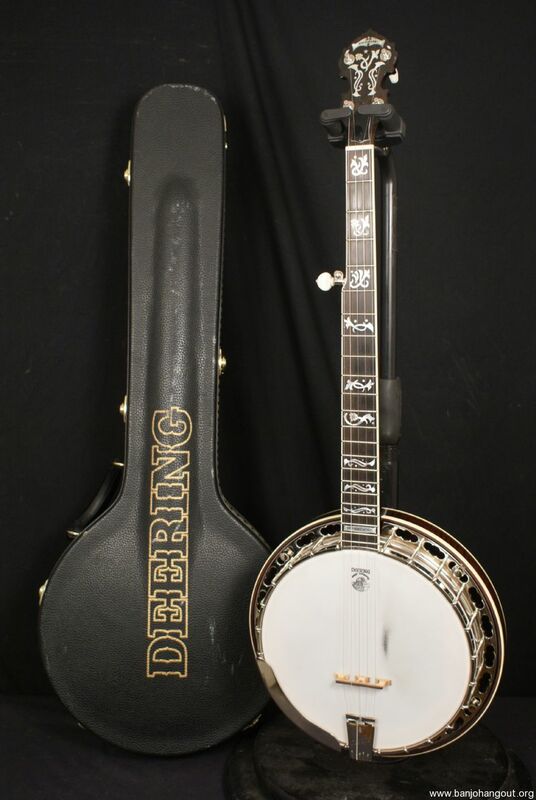 2013 Deering Tenbrooks Saratoga Star with a Kruger tone ring Made in USA with a Deering hardshell case. 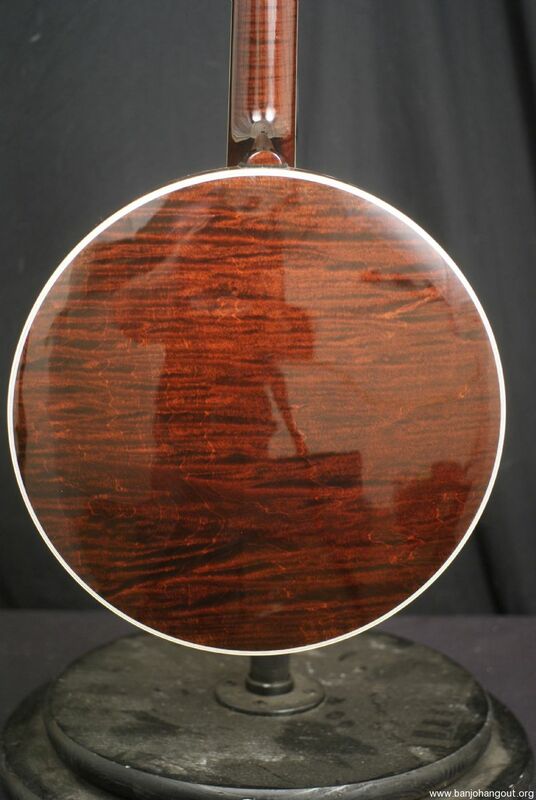 This is one of the finest instruments being made today with an absolute professional tone ring that has been fully inspected and set up here at the Banjo Warehouse and includes our Full Satisfaction Guarantee. Crisp Maple with a brilliant full bodied tone, deep bass, brilliant highs, The Saratoga Star is one of the most elegantly beautiful modern banjos to enter the musical arena of classic instruments. 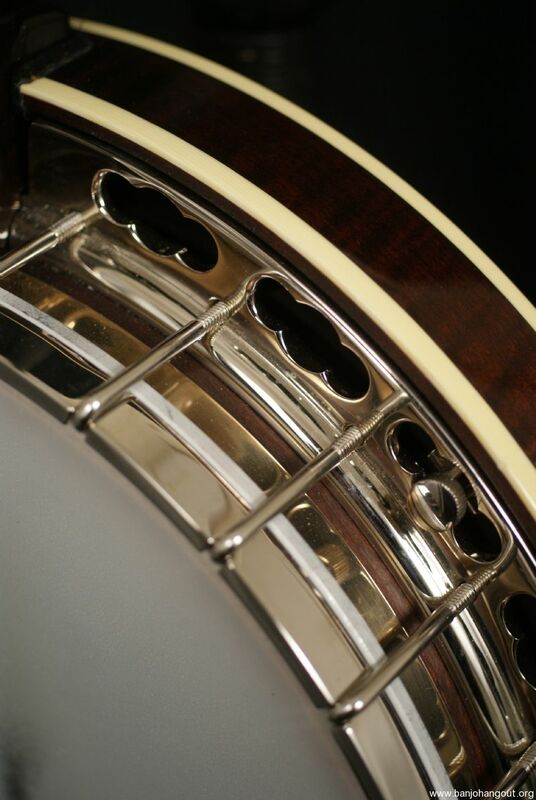 Greg Deering personally designed the inlays with an Art Nouveau style in mind. Reminiscent of the Victorian Era, this high grade maple banjo stands out as a top of the line professional instrument, at home on the concert stages throughout the world. 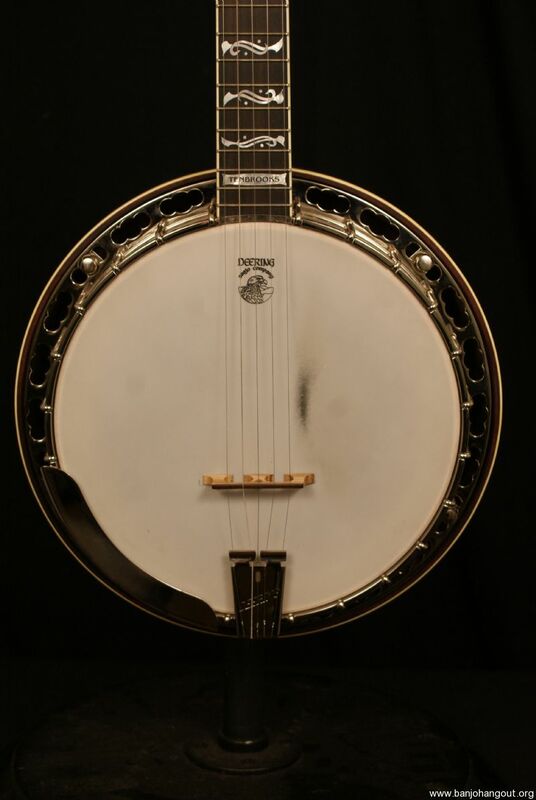 It is played by world renowned banjoists like Bela Fleck, 2007 IBMA Banjo Player of the Year – Tony Trischka, Joe Bonsal of the Oak Ridge Boys, and Ned Luberecki. 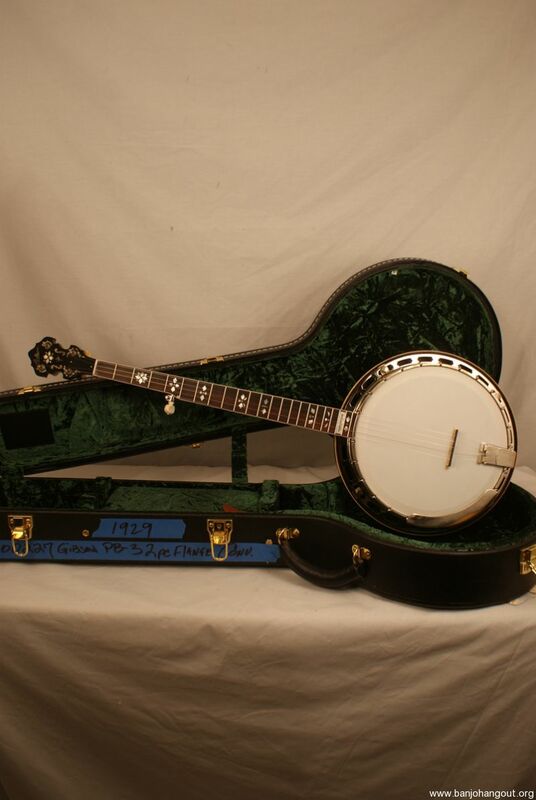 This particular banjo is in excellent plus condition, in fact it’s practically a near mint instrument. This really doesn’t show any wear but there are a couple of smudges on the tension hoop and a small nick on the face of the headstock. This banjo was absolutely well taken care of. The fretboard has this gorgeous inlay that features some flowers and the fretboard looks fantastic on top of the wood and the finish. There are a couple of light marks on a few of the frets near the nut but even the frets are in stellar condition. There are spikes in the 7th and 9th frets.